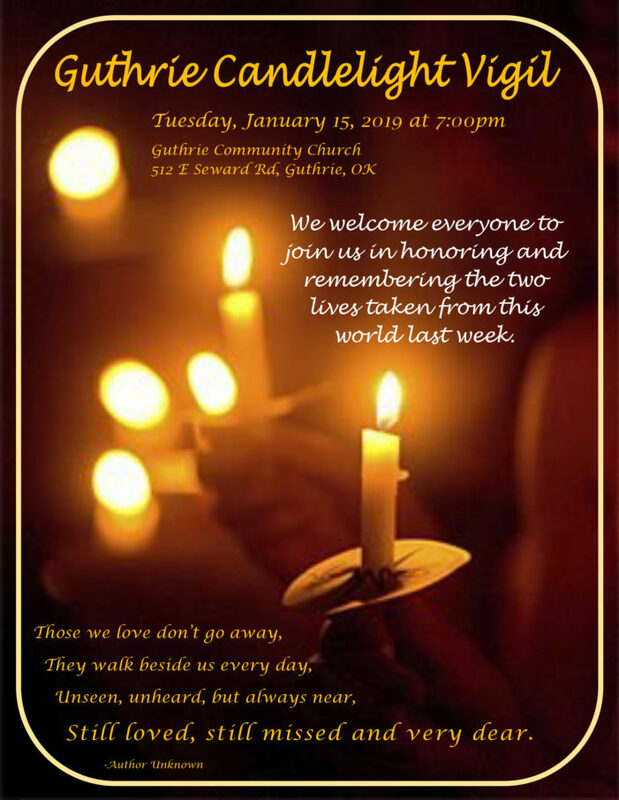 The public is invited to attend a Candlelight Vigil at the Guthrie Community Church (located at 512 E. Seward Rd.) on Tuesday evening at 7 p.m. This event welcomes everyone to join in honoring and remembering the two lives taken from this world last week. The event will be a time for the community to come together and support the family and friends of Robyn Miles and baby Damien Kia King.